"This is a great recipe for your morning bagel, on pita chips, party platters, etc. You can put more or less of bacon, tomato, or garlic to suit your tastes." 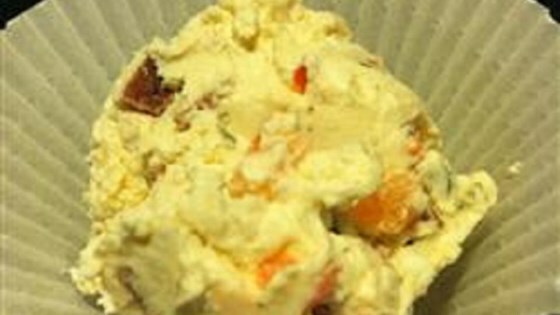 Beat cream cheese, bacon, tomato, chives, garlic, parsley, and pepper together in a bowl with an electric hand mixer until smooth. See how to make a "dangerously spicy" creamy cheese spread.